Romie’s Grocery @ 804 West Jackson street, Tupelo, MS. Open lunch Sunday-Friday 11-2, dinner Thursday-Friday 5-10, Saturday 11-10, Bar 5-until. Santa Fe Chicken Salad & Tuna Salad. My daughter and I attended the first gathering of the new Facebook group “Tupelo meet-and-eat” at Romie’s Grocery recently. We got to meet several nice folks in person, share stories, and eat some really great food! The group is still new, but is off to a good start. 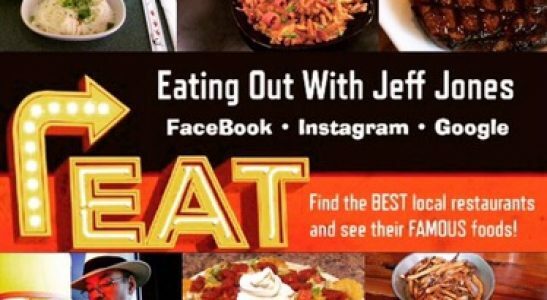 They will be hosting meet-and-eats at different local restaurants every month. So check them out for the next gathering of some Great folks breaking bread and sharing some good times. I’ll also post the next meeting on my blog, so check it out and stay tuned! My family and I have had several tasty selections from Romie’s. Their menu is packed with so many unique items that I always order something new each visit. The verity of choices range from daily specials, salads, appetizers, specialty burgers, deserts and so much more! One of my methods for choosing my next meal is to watch what plates are being served the most to the other guests. During my previous visit, the one dish I saw the most was the Santa Fe Chicken Salad! So I decided…THERE’S YER SIGN! The Santa Fe Chicken Salad is huge! 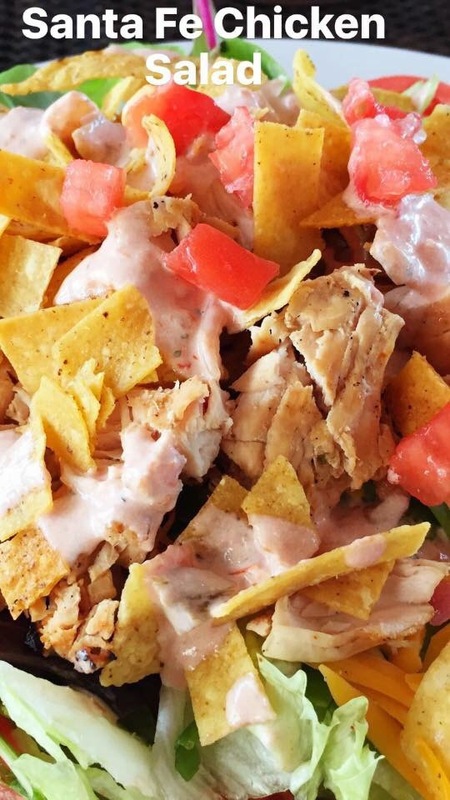 It’s a bed of mixed greens topped with grilled chicken, red bell peppers, green onion, sliced tomatoes, cheese, tortilla strips, and homemade Santa Fe dressing. Let me just say, this is one BIG BOY salad! Yeah, it’s great for anyone, but it’s really got a lot going on. Plenty of greens, great color and subtle flavor with the peppers and onion, and tons of crunch with the tortilla strips. No, I haven’t forgotten the chicken and dressing, just saving the best for last. The grilled chicken has a great flavor and is plentiful, even in a huge salad like this. And the homemade Santa Fe dressing is to die for! You get two containers of the dressing per salad and is more than enough to satisfy even a big eater like me! My daughter had the Tuna salad plate. 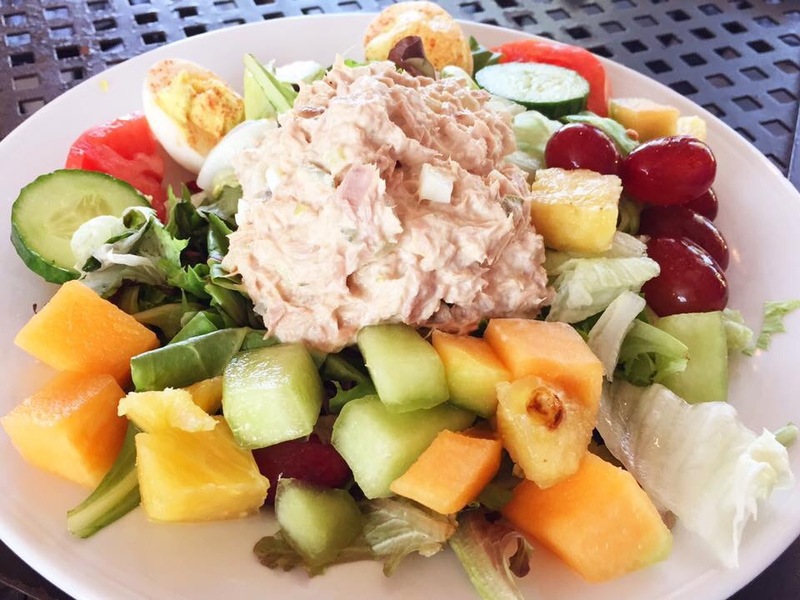 It’s homemade tuna salad served over mixed greens, with sliced tomatoes, deviled eggs and seasoned fruit. I wanted to get a taste of her dish so I could comment on it as well, but by the time I had finished taking the photos of my meal and a few of the room…it was gone! Needless to say, she thoroughly enjoyed it…nuff said! 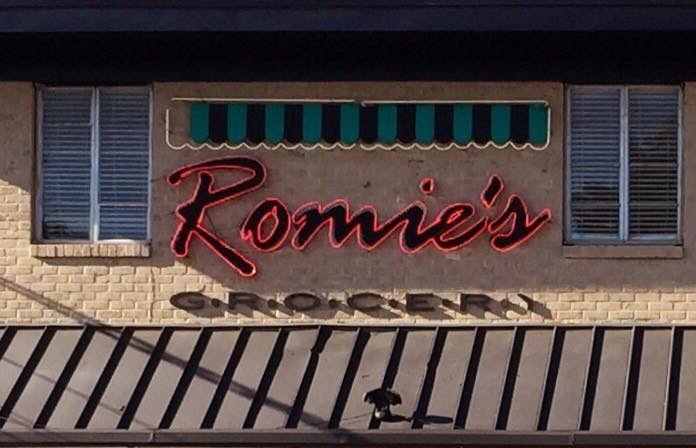 After its orgins as an old community grocery store, Romie’s was reinvented to become a must visit, Tupelo dining destination. 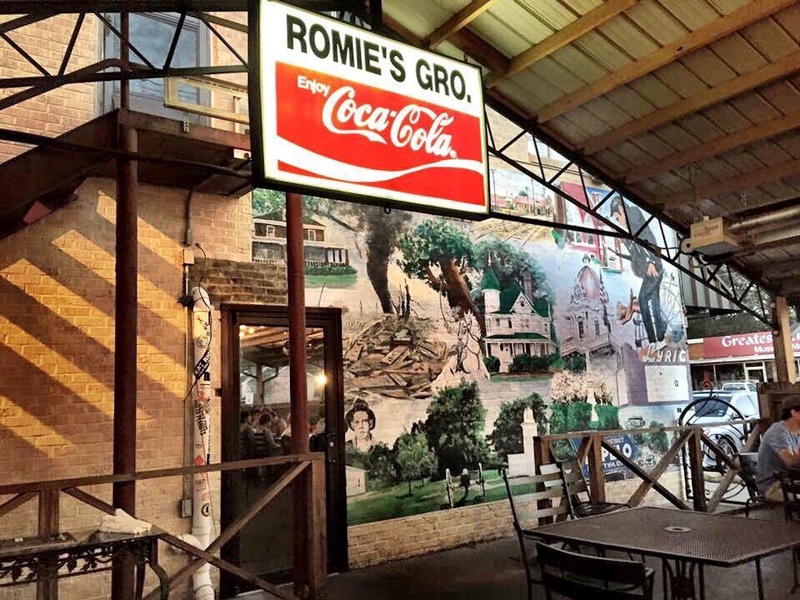 Whether you need a special event catered, take out for family, or just want to experience a defining taste of Tupelo, visit Romie’s to put a little South in yer mouth and enjoy some of the best food Tupelo has to offer!